Cinnabun, Chocolate, and Peanut Butter Fudge! For me, the ultimate Christmas treat (besides anything and everything my mother makes) is fudge! Decadent, rich, and so good you’d best not make it too many other times of year. Today I’m going to take my standard fudge recipe and show you how to make three different kinds of fudge from it but this show has one grand star and that is the fudge in the middle : Cinnabun fudge! I got this idea last night while in the grocery store and thought it might be good. As I was making it I posted about it on my personal Facebook Page and was a pleasantly surprised at the level of interest. Once it cooled and I had my first bite, I knew chocolate fudge had forever been dethroned. Cinnabun fudge tastes like all that is good and wonderful of a cinnamon roll and it has become an instant showstopper. 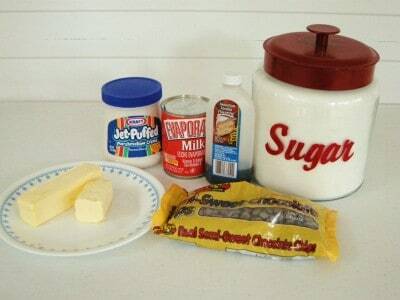 You’ll need: Margarine, Marshmallow Creme, Evaporated Milk, Vanilla, Sugar, and some type of chips. This is where our fudge is going to get it’s flavor. For Peanut butter fudge, just use Peanut butter chips. 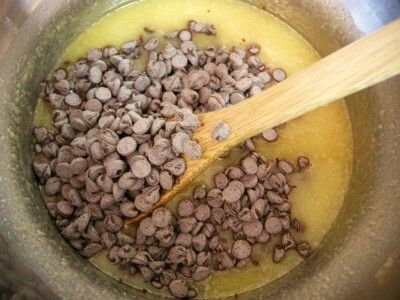 For Cinnabun fudge, use cinnamon chips. You can also make butterscotch with butterscotch chips if you like. ***You can use marshmallows in place of Marshmallow cream so if you can’t find the cream just get a bag of little marshmallows. We are using 7 ounces of marshmallow cream so I just eyeball and use a little over half of a 12 ounce package of mini marshmallows in its place. These babies right here are cinnamon chips. I’m not sure how long they’ve been out but I saw them for the first time last year. and these are the chips I use for peanut butter. Now lets make our base and then we can add in whatever flavor we want. 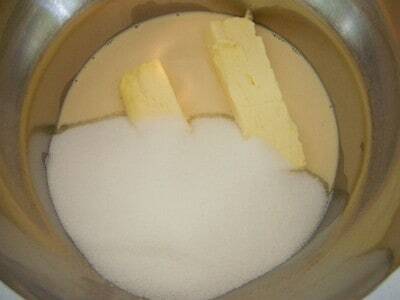 Place your margarine, sugar, and evaporated milk in a pot. I like to get the really big can of evaporated milk so I can use what is left in my coffee. It makes the BEST coffee creamer! You’ll need a candy thermometer because we are going to cook this to soft ball stage. The candy thermometer will have that written on it so you know. You know as we start getting older we tend to fall apart bit by bit, well in the past few weeks my eyesight has decided to go on hiatus so I want you to avoid doing what I did and be sure you read your thermometer really well. you see where it says “Soft ball”. Make sure sure sure you cook it until it reaches that stage. If you can laugh at yourself, you’ll be a joy to you and everyone around you. I am a firm believer in this! While that is heating up in your pan, take some butter or margarine and smear it all over the bottom and sides of a 9×13 pan. Shortcut: This is what I’ve started doing lately. I just spray a little nonstick cooking spray over my pan. Works just as well and it’s quicker and easier. Who doesn’t need a little “quicker” and “easier” in their life? 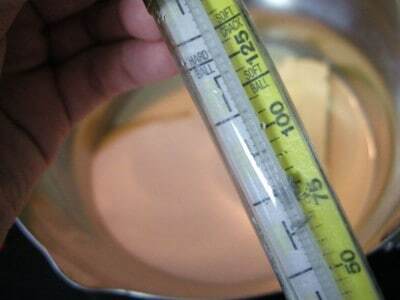 Place your candy thermometer in the pot. 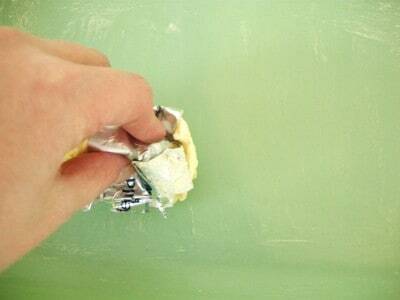 Make sure just the tip is beneath the liquid but don’t let the tip touch the bottom. It has a handy dandy clip that lets it hook onto the sides. My poor candy thermometer is about as old as Methusela. Bring that to a boil, stirring constantly. Keep a watch on your thermometer so you will know when it gets to soft ball stage. This is going to take about five minutes on medium high heat after it begins to boil. Once it gets to soft ball stage, remove from heat. Pour chips in. I’m using chocolate in these photos. Pretend you don’t see that ring of dried vanilla around the rim of my bottle, okay? Stir that all up until the chips melt. It is gonna take a few minutes but don’t worry, it’ll melt. This is where you stir in your nuts if you want to. I don’t want to. Nuts are too expensive. 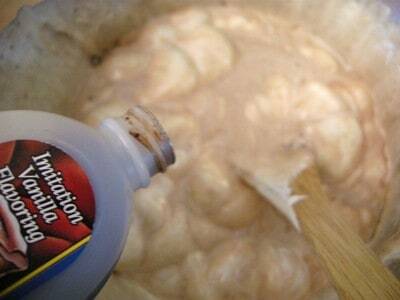 Pour into your buttered or greased pan. Allow to cool. If you need to cut into little pieces to put on a platter, it is easier if you stick it in the fridge until it gets cold. It will cut much better that way. Cinnabun, Chocolate, or Peanut Butter Fudge! 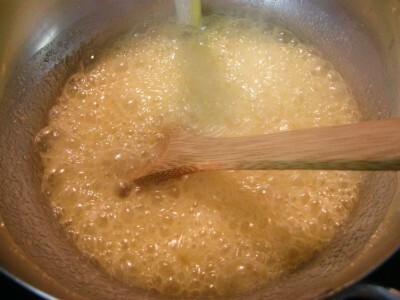 Combine sugar, milk, and margarine in heavy saucepan; heat to boiling. Stir constantly about 5 minutes over medium heat or until mixture reaches soft ball stage (238 degrees - this is really important). Remove from heat. Add remaining ingredients. Stir vigorously until well blended. Pour into greased 13 x9x2 inch pan. Cool (refrigeration is even better). Cut into squares. Each batch makes 3 pounds, one 9x13 inch pan. This is a video from our recent trip to Disney World where we got to see the Osborne Spectacle of lights! Katy Rose did NOT want to leave because she was dancing every time the music started so we promised her one more dance while I recorded the lightshow. That is what we are telling her she can do as the video starts. I also posted a video of her dancing and us walking around watching the lights on the Southern Plate Family Facebook Page. You can now join the Southern Plate Family on Facebook! Visit facebook.com/southernplatefamily to join up! 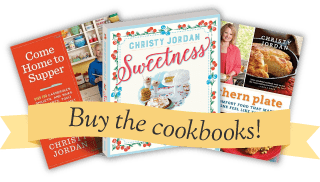 Post photos of Southern Plate recipes you’ve tried or just post the links to your favorite recipes on Southernplate.com so new family members can enjoy them, too! Of course, you’re also welcome to just drop in to say “Hidy!”. We’re all family here and we love to see your shining face! of life you have lived. Submitted by Miss Millie Wallace, my grandmother’s best friend for as long as I can remember and someone who I cherish every bit as much as my grandmother. Submit your quote here. Ok, now I’m starving. I just made a batch of fudge yesterday, but I’m going to the store tomorrow now to make more! Yea! I’m first. I just love this website. Thanks for all of the wonderful recipes. This fudge looks devine. I can’t wait to try all three. The only thing I’d change is using homemade vanilla, it’s my secret in all my recipes! I have the recipe on my blog if you’d like to do a search for it, it’s wonderful and sure does make a difference! I’ve made all kinds of fudge but cinnamon so thank you for the new treat that will be made this week! Merry Christmas! 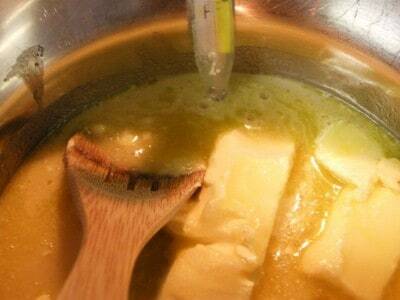 Please share your recipe for homemade vanilla with us! No worries! Just click on her name and you’ll automatically redirect there. Anytime someone puts in a url when they leave a comment it is linked to their name like that. Handy! 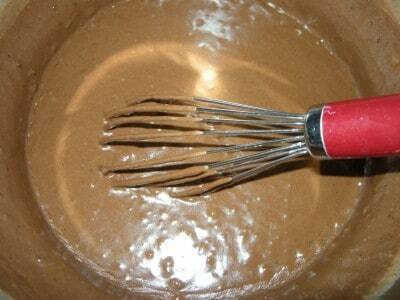 Our Family’s recipe for the chocolate fudge is very similar. The ingredient amounts are different but the same ingredients. We just cook our for 5 1/2 minutes after it starts boiling and comes out perfect every time. Never thought about adding the different flavored chips. Been wanting to make peanut butter fudge. Thanks. I have already made Oreo Truffles, Peanut Brittle, Peanut Clusters, Dipped Pretzels, and party mix so far this season. I made cinnamon fudge last Christmas and it was a huge hit. Made another batch last week and may need to make another if I have time. Cinnamon fudge is now another family tradition. Stocked up on cinnamon bits when I found some – they don’t have them in all the groceries or Walmarts in the Memphis area. Used your holly jolly idea to make my peppermint bark in my mini pans. They are adorable. A little more trouble than spreading on a cookie sheet but so much more festive. Well, my mom used to make spoon fudge and all our friends loved it! She was the only one in the neighborhood who made it. She was embarassed but we were proud. She never could make fudge harden lol. I can’t wait to try the cinnabon fudge! Whenever I make fudge, I always line the pan with tinfoil. I leave a couple of extra inches on either end and scrunch that up so that it stands on top of the pan ends. Once the fudge is cool, I just lift the foil out of the pan and cut the pieces up. The pan stays clean and with a little more foil, is ready for the next batch! Thanks so much for your website! Wow a great time for you to post the fudge recipes. Tomarrow is fudge making day here at our home. Definately will try the cinnamon fudge. 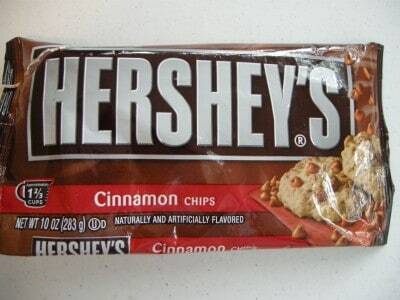 Have the Hershey cinnamon chips so am all set. Hubby loves making candy and loves to try something different so this is it. Would you mind asking Sue where we can find her blog? I would love to have her secret recipe for homemade vanilla. I have one that I have never tried…would love a sure thing, though. No worries! Just click on her name and you’ll automatically redirect to her blog. Anytime someone puts in a url when they leave a comment it is linked to their name like that. Handy! thank you so much for posting the recipes! can’t wait to head to the store tomorrow and grab some cinnamon chips. i made the pecan pie muffins and the fruit crisps mix for my son’s teachers….they all thought it was wonderful gifts and couldn’t wait to make’em. And for his classmates–he gave each of them snowman soup. he was pleased w/the reactions the kids had. Thanks again for all the wonderful tips and advice! and not to forget the WONDERFUL recipes!!! My latest kitchen toy is an infared digital food thermometer. I saw one on another site, knew my husband had something similar at work (he is a plumber). I asked him to let me borrow it and was it food temp grade. He did not really know as he had inherited it on his truck from a previous employee. He brought it to me to use and on the side it says “FOOD SAFETY”, so yea, it was food temp grade. I used it to make some sweet check mix while also using my regular candy thermometer – it was spot on. The ones I googled were a bit pricey, but Christy, since you are a food star, you could probably get someone to let you test one to give us a review. Ok, that’s just EVIL!!! Now I want some of that “cinnabun” fudge but I’m stuck over in the Middle East with no stove! hehe Well, that’s ok. I’ll just have to make sure I make some when I get home is all. Thanks for the recipe! 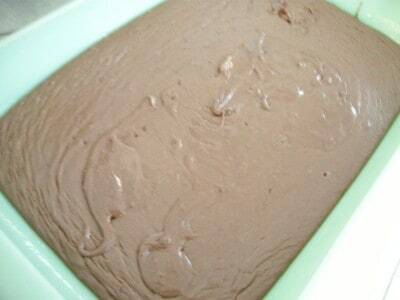 I never realized fudge was that simple to make. Oh, and don’t feel bad about missing the right temperature. Even if it doesn’t look good it still tastes good and makes the kids happy! That candy thermomter is an essential tool. I made caramels yesterday and they are usually soft, creamy and oozing butter , but somehow I overcooked them and they more resemble a Sugar Daddy. They taste great but I am going to have to post a dentalwork warning if I let anyone else try them. I realized I had overcooked them when I had such difficulty cutting them. I tried my knives and kitchen shears and at the end I was literally gouging them out of the pan. No point at all to this story except to reassure you that we all have kitchen mishaps and maybe to invest in a good thermometer. That would be hammer time in my kitchen! LOL!! It is always thrilling for me to find a few more “must have’s” and favorites for homemade treat making. 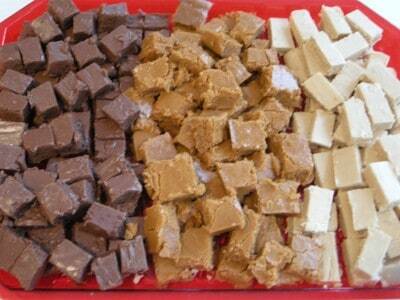 These fudge ideas look like 3 that will go to the front of the recipe card file. Great job, my creative friend Christy. ~blows a kiss across my hand~ I always appreciate your efforts for us find an easier way in the kitchen. You ROCK! I had a problem with my candy thermometer last year when trying to make the toffee buttercrunch I make every Christmas. I didn’t realize it, but it was “off” by some degrees and the candy, while still tasty, was darker in color than usual. After testing the thermometer in a pot of boiling water I realized it wasn’t right so this year, I had to buy a new one. I’m testing it out today on this fudge 🙂 Moral of the story – it’s probably not a bad idea to test your candy thermometer before using it! Thanks for the fudge recipe. I am making the chocolate batch for presents and will have a go with the cinnabun. Maybe my wal-mart might have those chips and a new thermometer. When I make one of your recipes I usually send it off to my son, who is a great cook, and tell him “he has got to make this one”. Last year I went for a visit he actually asked me to cook a few of my tried-and-true recipes. Sure made me feel good he remembered my oldies. You are a very talented cooking person to share all your recipes with us. Thanks so much. Merry Christmas to you and yours! Last year I made fudge with white chocolate chips and added nutmeg and rum flavoring for an eggnog fudge. Fudge! Hmm, don’t have a candy thermometer though. *adds to shopping list* Can’t wait to give this a go! Especially the Cinnabun version! Okay so a funny story for you. ( I hope this doesn’t get long) My wonderful husband comes home from work the Monday before Christmas and ask me to make some peanut butter fudge for him to take to work on Christmas day. So of course I remembered receiving an email from Southern Plate with the fudge recipes. They sounded delicious and so easy. I showed my husband the recipe and he said that looks good. Let’s try it. So I go to the store get the ingredients and make the fudge Christmas Eve. Of course we had to sample it before sending it off to work the next day. It was delicious!!!! He takes it to work and everyone loved it!! Your fudge was a hit! The funny part of the story…..
YOU GO, Ant!! YOU ROCK! I have recently discovered your website last month via a friend posting the peppermint bark recipe on Facebook (which I made!) I have looked on here for many of recipes since. Thank you so much for this fun, quirky and delicious website. Now to the reason for my comment, I cannot find cinnamon chips anywhere in my small town or neighboring small towns and really want to try your cinnabun fudge. Do you think it would work to substitute cinnamon flavoring or oil instead of vanilla flavoring with vanilla chips? I am not brave enough to try it, yet. Figured I’d ask an expert person first! I am going out of town next week and will look there for the chips, though. I hope to find them! I Love Your Site, by the way, and the way you post recipes with stories and all! hopefully we can track them down for ya! I live in Kentucky, (Louisa). Thanks! I appreciate it and your quick response! I too was having trouble finding the Cinnamon chips in my town Kansas City. 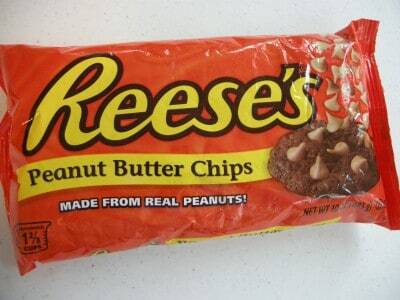 So went online and found them at Prepared Pantry. Hope this helps. I am thinking about making some of this for the holidays and decided to do some searching since people were having problems finding the cinnamon chips. The Hershey web site has a product locator http://www.hersheys.com/productlocator/index.asp so you can search by product and ZIP code. Turns out all that the Winn Dixies in my town carry them so I’ll start there even though I usually rarely shop at Winn Dixie! I am having a strange moment here, in this receipe do we add 1 and 1/2 cups of marshmellow or just 1/2 cup? I am so confussed. Thanks for your help. Also in Kansas City could not find the cinnamon chips so had to order them from prepared pantry. At least could not find them at my local Wal-mart or Price Chopper. I made the cinnamon fudge and it is awesome. thermometer. Mine wouldn’t clip on the pan. Can you use White chocolate chips as well? 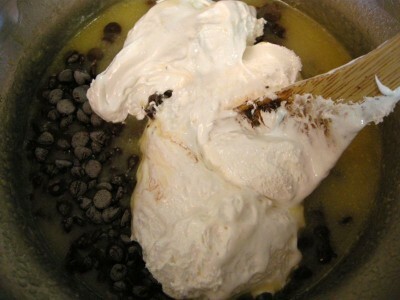 I have always wanted to try white chocolate fudge….